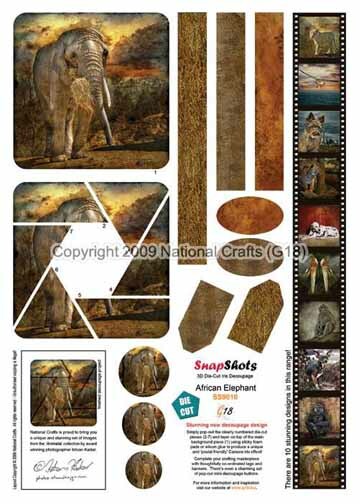 Snap Shots - African Elephant Snap shots are simply stunning that has the "Camera Iris" effect. The 3D Precut sheets are specially designed that included banners and tags which will help finish off your projects. The images are from international award winning photographer Istvan Kadar.